Will he or would he? These verb tenses are often misused. 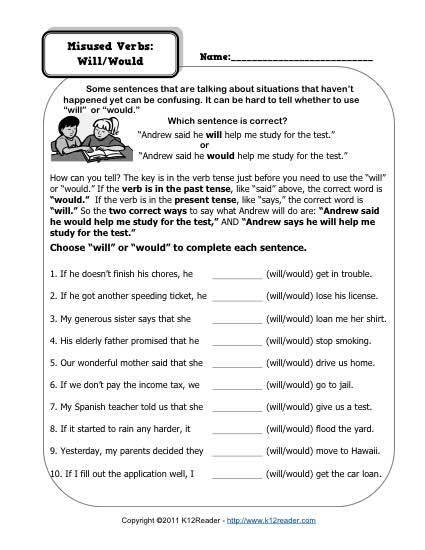 This worksheet instructs your student on the correct usage. It’s compatible with 1st and 2nd grade Language Standards for Common Core Standards. Other students may use it as a review or as needed.